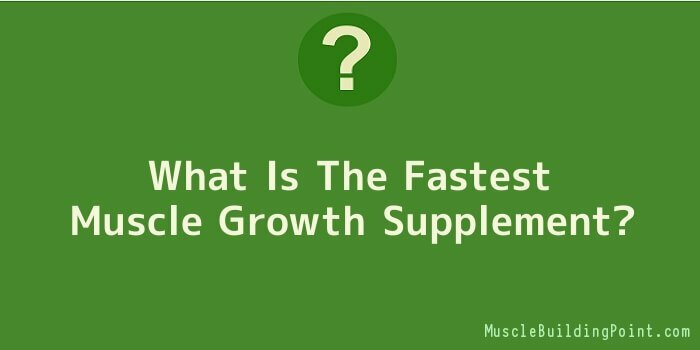 Many companies out in the market claim to sell the fastest muscle growth supplement available. The truth is, however, that there’s no certain answer to that question. Still, there are a few products out there that are in the running for the quickest muscle building supplement. These include certain forms of protein, creatine, and nitric oxide precursors. Below, I’ll discuss the pros and cons of each and what they can do for you! If you’re looking for quick and effective protein supplements, then look no further than whey protein. This protein is an awesome post-workout supplement, and is usually in the form of a powder to make into a protein shake. The reason whey protein is so much more effective than other forms of protein, such as casein, egg, and soy, is because it takes only 30 minutes to start working! Right after you workout, your body tries to feed as much nutrients as it can to your muscles in order to repair them. Since whey protein is so easily digestible, it can go to work in that short time frame. This way, your muscles get the building blocks they need to grow quickly. The only downside to whey protein is that it’s only truly effective when taken immediately after a workout. Otherwise, when the whey protein digests the nutrients have nowhere to go and are wasted. Creatine is another very useful muscle mass building supplement. Naturally, found in the body, creatine gives your muscles more access to your ATP stores. ATP is the energy that feeds cellular development, which turns into muscle development. The more ATP that is available to your muscle tissue, the harder your muscles can work. With creatine, you can easily boost the intensity of your muscle building exercises and in real life scenarios. You should never constantly take creatine through. A good idea is to take it for about a month, cycle off of it for two weeks, then start taking creatine supplements again for another month. One of the most effective pre-workout supplements is nitric oxide precursors. These precursors, such as L-Arginine, react with amino acids in the body to create nitric oxide gas. This gas, which is also naturally produced, transmits messages to the cells of your arteries, telling them to relax. Thus, your blood vessels dilate and nutrients can flow to your muscles even quicker. Nitric oxide could well be the fastest muscle growth supplement as it doesn’t take long for you to see the effects. Within less than half an hour, you’ll start to feel the results which will translate into more intense workouts. The only known side effect of nitric oxide precursors is that, taken in excess, it can cause sickness and nausea.